At Macworld, Apple introduced the MacBook Air with this commercial. It is the first commercial for the MacBook family line! It has been added to The Daily iLife podcast today, which you can subscribe to in iTunes or watch here. 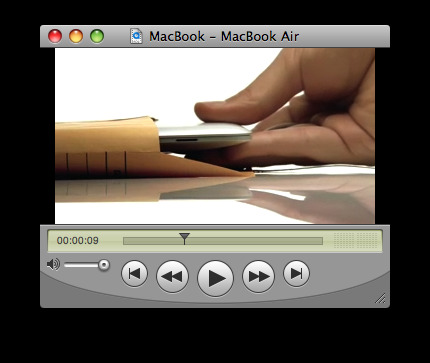 The first MacBook Air commercial as the MacBook Air is revealed from a manila envelope.